CHICAGO – In doing “comic book” movies right, Marvel Entertainment has established a formula of decent back stories, complex villainy and probable scenarios. In continuing to tell a history of the second half of the 20th Century in “X-Men Apocalypse,” they also add a historical parallel universe that works. The film plays on themes of “what is the ultimate evil?” and “what is the ultimate power?” with enough ambiguity to create a questioning of all values, which closes in on our actual reality in the socio-economic experiment of America. 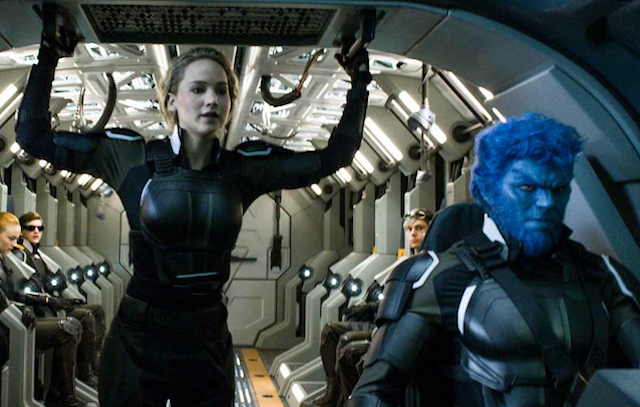 By taking on the Cuban Missile Crisis in “First Class,” Richard M. Nixon and Vietnam in “Days of Future Past” and finally nuclear proliferation in “X-Men Apocalypse,” the producers – and director Bryan Singer – are blurring the lines between what a society under siege would go through, and how they would rely on a superhero class of people to save them. Those layers of reference and morality are the key to the franchise, and the “X-Men” delivers that nuance again, with an excellent and “page turning” tale. The film begins with a ceremony in ancient Egypt. There is to be a transfer of super powers for En Sabah Nur (Oscar Isaac), AKA Apocalypse, which continues his immortality. He is protected by the Four Horsemen, but after the transfer occurs the powerful icon is buried alive, and the Horsemen perish. When he awakens in 1983, his task is to continue the takeover of the world. The X-Men mutants, evolved humans born with super powers, take sides in this encounter. 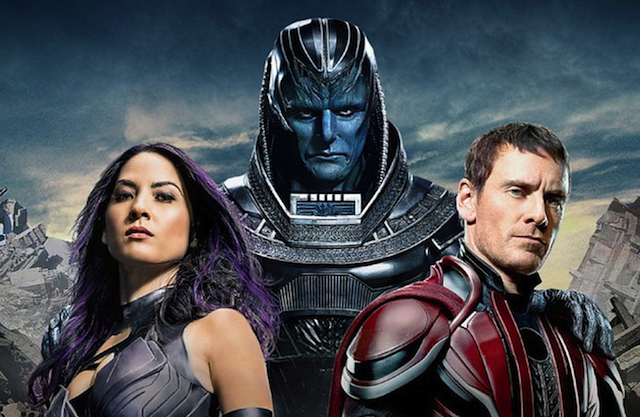 Apocalypse recruits Magneto (Michael Fassbender), Storm (Alexandra Shipp), Angel (Ben Hardy) and Psylocke (Olivia Munn) to be his new Four Horseman, and the battle will be against Professor X (James McAvoy) and his mutant allies and students, including Mystique (Jennifer Lawrence), Beast (Nicholas Hoult), Cyclops (Tye Sheridan), Quicksilver (Evan Peters) and Nightcrawler (Kodi Smit-McPhee). The battle is for the soul of the world. The X-Men combine the academic symmetry of trying to assimilate and control the powers of those “special kids” with the possibilities of those powers being out of control when placed on the scales of justice. It’s the gray area of these superhero stories that Marvel renders so magnificently, in a relatable symbolic sense surrounding our own powers that develop at adolescence. When deciding whether to be “bad” or “good,” the process is blurred, and nobody does “blurring” better than Marvel and the X-Men series. The re-telling of history is quite fascinating, focusing on the tumultuous years of JFK, Vietnam, the Holocaust, the nuclear arms race and cold war politics. While the origin film, “First Class,” used the Cuban Missile Crisis awkwardly, the themes of destroying man’s power by destroying the nuclear arsenal was effective in “Apocalypse.” How would an ultimate force control us? By taking away the weapons that we perceive give us a sense of power. At the core, the X-Men teens are sort of like Archie comics and his gang. A little too brash, a little too unacceptable and incredibly prone to mistakes – which is a perfect description of adolescence. The character of Quicksilver, for example, is hilarious as he uses his supersonic speed to stop time. When in the 1970s, the pop song “Time in a Bottle” illuminated his antics, in 1983 it’s “Sweet Dreams (Are Made of These),” and the story ups the ante on his savior elements. The film does ponder apocalypse, even as it destroys part of the world, and again that is what sets apart their moral universe. Particularly vital to this story is Cerebro, the mind computer of Professor X. It illustrates the random individuals the Professor “sees” into, and reminds us that there are worlds in each of these beings. Does the collective consciousness provide justice or desperation? “X-Men: Apocalypse” uses this question as the foundation for its journey. In re-reading the above, it sounds both academic and nerdy, but isn’t that how comic books satisfy us, all at once? At least the best ones do, in the pursuit of what makes one person good and just, and another pure evil. In each of our individual “worlds,” those two temptations fight like the devil.